The 2010 Update is our annual review of the original Marine Safety Performance Plan (Dec 2008). While this update highlights the significant progress we've made over the past year, there is still much more work to be done. We've made the initial commitment and investment to rebuilding an infrastructure that will ensure greater competency and consistency from Coat Guard Marine Safety professionals. In essence, we have laid a strong foundation upon which to build. There are still many challenges before us, but there is also evidence that some of the initiatives are already working. Two of our National Centers of Expertise [Investigations (New Orleans, LA) and Outer Continental Shelf (Morgan City, LA)] are supporting the joint Marine Board of Investigation of the Deepwater Horizon. We have significantly increased the throughput of students through the Marine Safety School in Yorktown, Virginia. The National Maritime Center's net processing time for issuing Merchant Mariner Credentials is less than thirty days. More is detailed in the 2010 update. It is important to note that the Coast Guard cannot acheive its goals alone. We must acknowledge the terrific support we've received from senior officials in the Dept of Homeland Security, the Administration, and our Congressional Leadership, as well as from our industry parters. 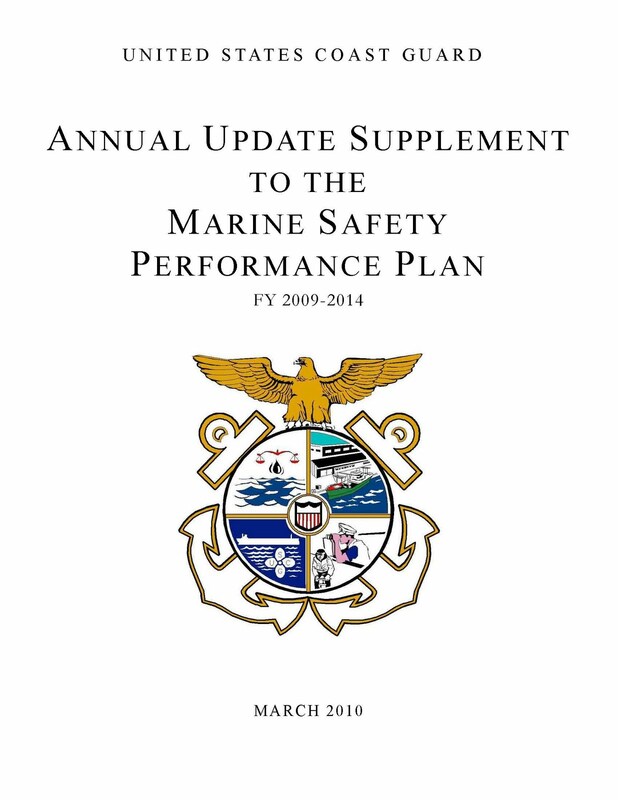 To make sure we continue be on the right track, we encourage you to read this progress report carefully, and to send us your thoughts on the Marine Safety Performance Plan and the 2010 update. *In a few days, the update will be properly posted to the Marine Safety Program page on http://www.usgc.mil/ , and the internal links will be energized. The CG Prevention Blog will note when the posting to uscg.mil is completed. Until then, please post your comments and questions about the 2010 Update here.